Often we come across scenarios where we feel like cleaning up space on our system, but not sure where to start from. What many of us might not usually know is the fact that duplicate files actually consume a lot of space on our systems and we never realise the same. So, getting rid of these multiple copies is the best place to start with while creating space on a Mac system. This process has been made extremely easy by Gemini 2 from MacPaw. 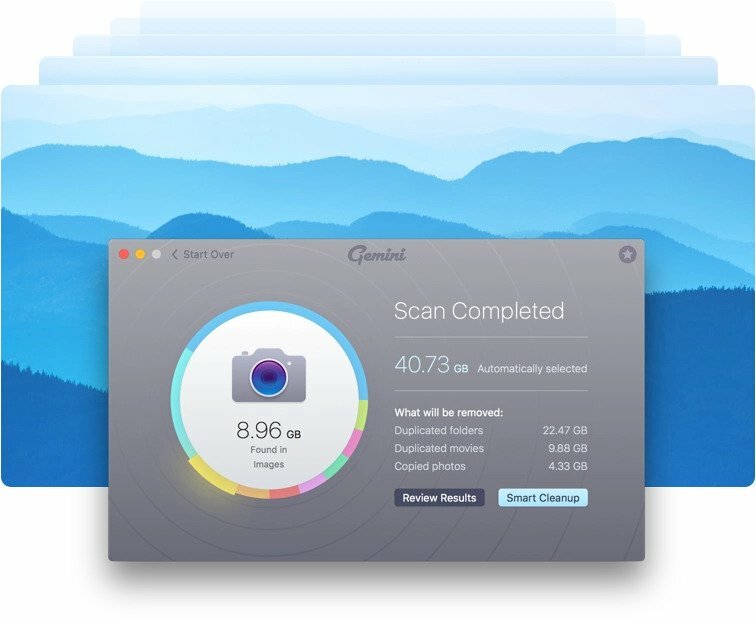 Gemini 2 is an award winning duplicate file finder that intelligently scans your Mac machine and finds the duplicate ones to wipe off in a single click. What makes it intelligent is its smart analysing technology that even finds similar looking images! We often click photos of same thing multiple times, thanks to the digital cameras and large memories, but never realise that keeping only the best one and removing the rest could actually free up a lot of space. Gemini 2 understands this and searches for such images for you to decide which ones to complete and which ones to get rid off. It can even scan for such images in your Photos App library. In addition to the Photos App, it can also scan the iTunes libraries and point out multiple copies of the same song. This multi-lingual software is available for free to try and can be purchased at a minimal cost of $19.95.